NCAA Football 2013 - WVU beats William and Mary 24-17. 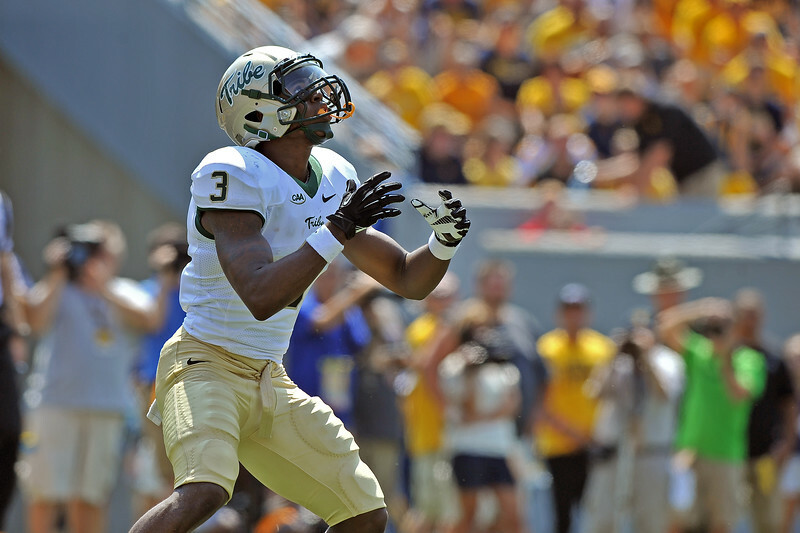 William & Mary receiver TRE MCBRIDE waits to return a punt in the second half. WVU came back to beat William & Mary 24-17 in the game played at Mountaineer Field in Morgantown, WV.